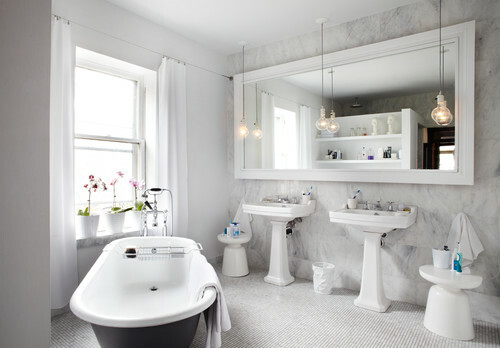 Give your bathroom a special finish with a few splurges and budget-stretching moves. One of the rarer features I love is a smoky glass shower enclosure. 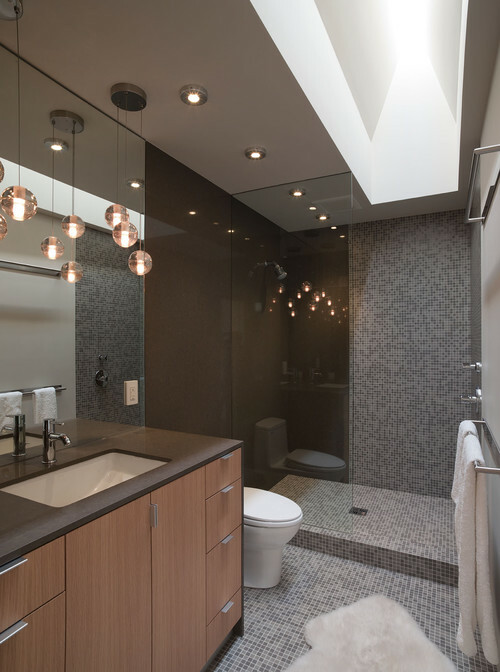 It balances an air of privacy and sophistication with visual openness, and doesn’t add much to the cost versus clear glass (see photo above). 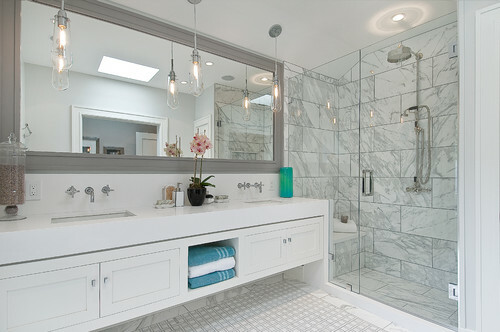 If you do prefer the most open look, a clear glass panel (see photo above) is still a worthwhile upgrade from a shower curtain for creating a sense of modernity that gives a bathroom that sought-after spa appeal. … but that doesn’t mean you have to spend at the high end. 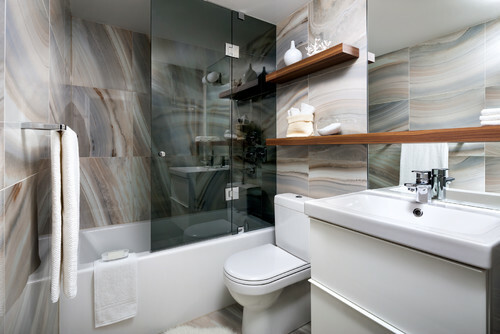 Rather than tiling a whole room partway up, consider tiling just one or two walls top to bottom in a statement stone (see photo above). 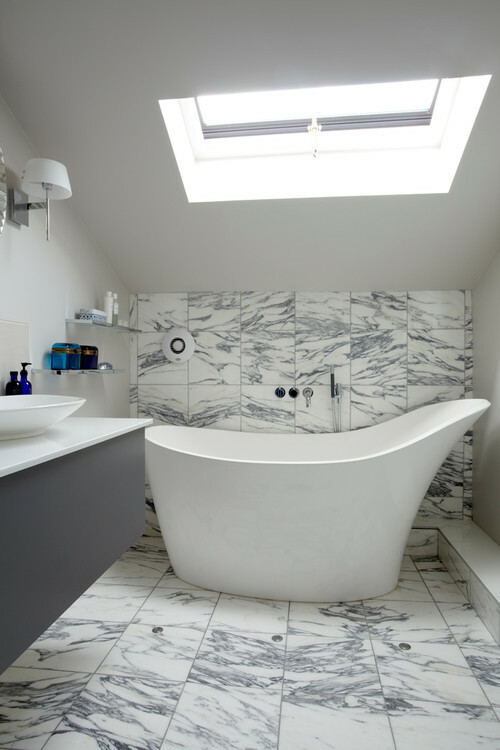 You’ll still get that finished look without paying to tile the whole space. 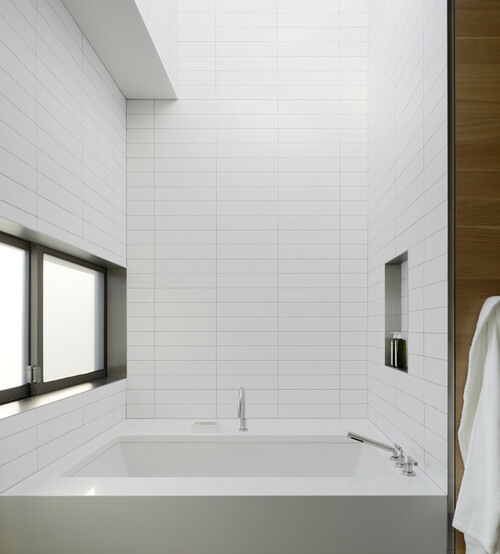 … even if the room is a more modest size. Consider taking a mirror wall to wall. Notice how the wall here feels tiled, even though in fact there are only a few inches of stone backsplash below the mirror (see photo above). 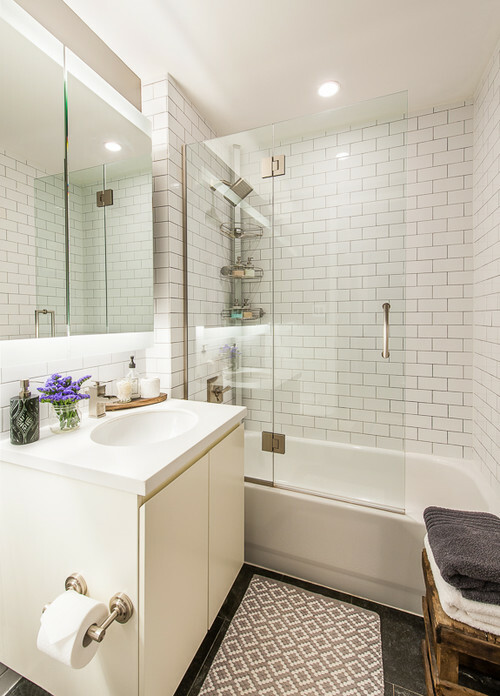 I designed this bathroom (see photo above) for a recent condo renovation; it has many of my favorite features described above, translated in a small space. 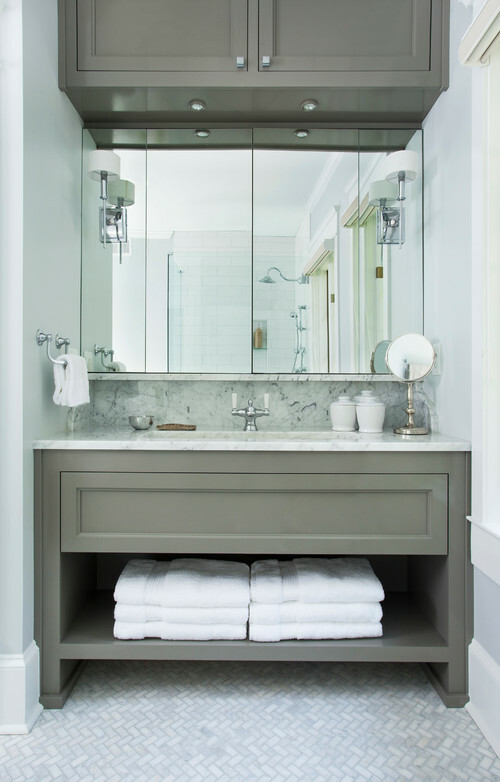 You’ll notice that among all the attention-stealing details, there is a humble Ikea vanity, which I have used in multiple renovations. It’s sleek and simple, and the cantilevered style helps the room feel more open. Best of all, it costs about $480.